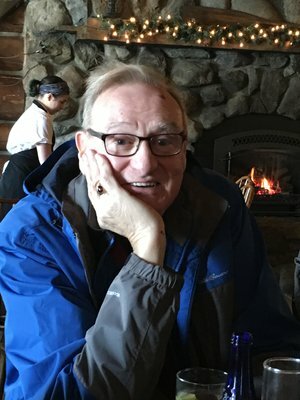 John Bruce Seguin, 79, a longtime resident of Champlain, NY, and Walden, NY, passed away peacefully, with loving family by his side, on Wednesday, July 4, 2018, in Plattsburgh, New York. He was born in Plattsburgh, NY, March 21, 1939 the son of the late George and Esther Bruce Seguin of Rouses Point, NY. He is predeceased by his sisters Dawn O'Boyle and Fern Wilder. He attended the State University at Plattsburgh graduating in 1964 with a BS in Social Studies Education degree. He began his teaching career at Valley Central School District in Montgomery, NY where he taught middle school for 32 years. In his tenure at Valley Central, he held many positions including chairman of the social studies department, coordinating the audio-visual room and coaching modified basketball. When he retired from Valley Central, J. Bruce continued to substitute teach at Northeastern Clinton for 21 years. In 1968, he joined the Orange Hose Co. #1 of the Walden Fire Department and served as captain, secretary, vice president and safety officer. In 1980, he served as a Walden trustee, and the last two years as deputy mayor. Over the years, he also served on the Walden Youth Commission, Secretary of the Industrial Development Board, Secretary of the Walden Bicentennial Committee and Director of the Catholic Youth Organization of Most Precious Blood Parish.After moving to Champlain in 1997, he joined the Rouses Point Fire Dept. and served as treasurer, assistant chief., and president of Montgomery Hose, Hook and Ladder Co. #1. He continued to serve, until his passing, as a member of the executive board and as a safety officer. He is currently Chairman of the Zoning Board of Appeals for the Town of Champlain. Survivors include his wife of 57 years, Joan (Bechard) Seguin, his children Michelle and her husband James Devine of East Berne, NY; Matthew and his wife Antoinette Bruno of Johnson, NY, Melanie and her husband James Arre of Hillsdale, NY; nine grandchildren: Monique, Connor and Laura Devine; Lindsay, Sydney and Luke Seguin; and Nicholas, Noah and Jacqueline Arre, and three great grandchildren. Ever a teacher, lifelong reader and community leader, J. Bruce would be delighted if you would consider a donation in his name to one of his favorite causes, the Dodge Memorial Library, the Rouses Point Fire Department or the Fitzpatrick Cancer Center of CVPH. Calling hours will be Friday, July 6, 4-6 p.m. at Ross Funeral Home in Mooers, NY. A mass of Christian burial will take place in Saint Patrick's Catholic Church in Rouses Point on Saturday, July 7 at 11 a.m.